Have you noticed how some restaurant chefs can bring flavors out in food that elude the home cook? What is their secret? After years of cooking in restaurant kitchens, I think the biggest difference between home cooks and chefs is the technique of seasoning and the use of salt. Chefs have been trained to taste as they cook, the art of balancing acidity, bitterness and sweetness, and how to use salt properly. 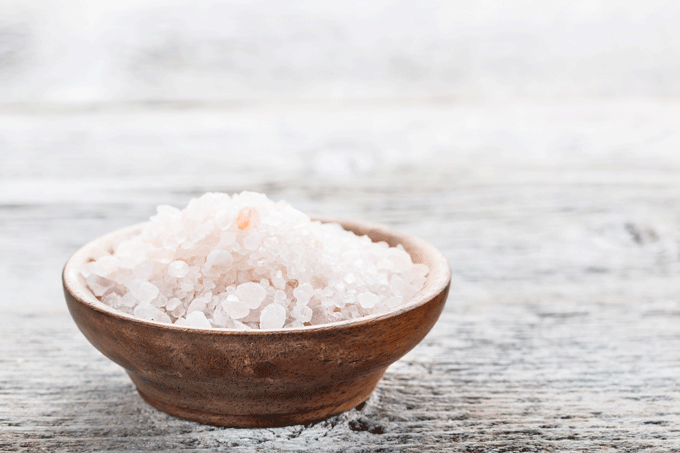 Understanding salt, and how to use it is one the most important things home cooks can do to take their cooking to the next level. I’d like to explore the proper use of salt in this article. Don’t worry, once you learn a few simple concepts, you’ll be balancing flavors and seasoning your food like a pro. We need salt to survive, so it is something we crave naturally. But the really interesting thing is the way salt miraculously transforms food. 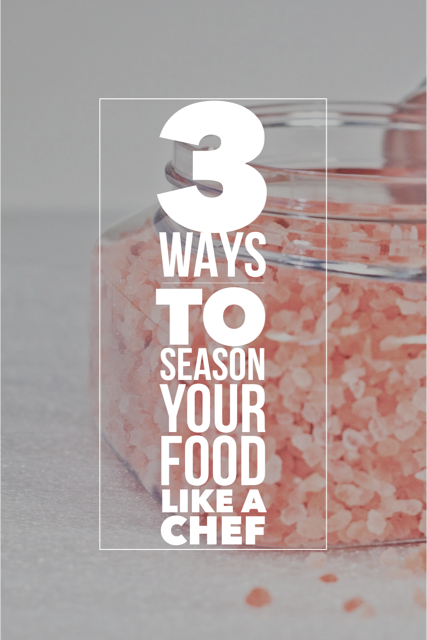 When seasoning a dish, you don’t want it to taste like salt. You want to ask yourself how the flavors are coming through. Do the flavors taste flat or muddy, or does the dish have a nice bright flavor? Sometimes you have to keep tasting and adding salt little by little and then you magically hit that sweet spot-the flavors are bright, pleasant and balanced, not salty. The quality of salt you buy makes quite a difference! First of all, I like to use a coarse salt. It’s easier to work with and doesn’t slip through the fingers as easily, making it a more accurate measurement. Coarse salt doesn’t dissolve as easily on the surface of food, so it’s easier to see how much you’re using. Coarse salts are shaped irregularly so they measure differently than fine salts. In general use less fine salt then coarse. However sometimes you want a fine salt, because it dissolves easier into liquids and penetrates into the food better. For instance, when you are seasoning a soup base or salting a watery vegetable like eggplant to draw out the liquid, a fine salt works better. I like a fine sea salt. Keep it in a bowl and season with your fingers from high above so you thoroughly coat your food. You want it to coat everything evenly. 2. Season as you go. Add salt at every stage of cooking*. Salt has a tendency to draw moisture out of vegetables, so when you add it to your onions at the beginning, they will release more juiciness and flavor, and fill your kitchen with more delicious aromas. It will also concentrate their flavors and bring out their sweetness. *There are exceptions to this rule: mushrooms, notably! When you want mushrooms to stay crispy, salt them at the end. If you add salt at the beginning they will get soggier. This is fine if you’re making soup, or if the mushrooms are very tough or dried, but for tender, fresh mushrooms add the salt at the end! Flavor is developed in stages, so you should be seasoning and tasting throughout the cooking process! If you wait to adjust the salt levels at the end, your dish will taste mostly of salt , and you will probably end up using more than if you had seasoned little by little. Tip: when blanching vegetables or making pasta, season the water, not the vegetables and do so generously! 3. Use a finishing salt. Adding a pinch of salt at the very last minute before serving will give a pleasing crunch and piquant saltiness to your dish. Finishing salts are often very high quality and somewhat coarse, like fleur de sel. Even salads benefit from this treatment (this is a great restaurant secret!). What are your favorite tips for seasoning food? Do you have tips for making crispy mushrooms ????? don’t shake or stir them too much! really let them brown!